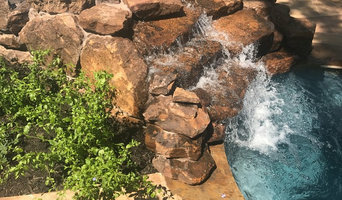 H2Oasis Pools is an expert in swimming pool construction and renovations that offers repair and cleaning services in the greater Houston area. Our team has more than 20 years of industry experience! Outdoor Elements designs and brings life to all of the components of amazing landscaped spaces. Our team has the experience and creativity to design, build and maintain award-winning outdoor spaces. DP&L takes pride in creating a superior product. From imagination to fabrication, we specialize in custom gunite swimming pools, landscaping, outdoor structures and design. Our delighted and proud customers will let you know that Smith Custom Pools will always care about you, and how we make you feel during and after the project. From new pool construction to pool remodeling, we take great pride in providing both pool and outdoor living services that will make your backyard oasis a reality. Swimming pool and hot tub installation from McKinney Custom Pools will improve the appearance of your home & make your home the place for family & friends to gather for all events! Downunda Pools Houston is recognized for their innovation and excellence in swimming pool design and construction, having garnered many awards. 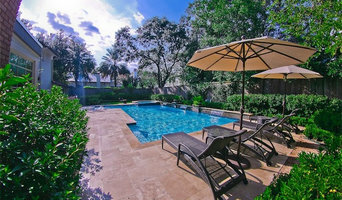 As a premium choice Houston pool builder and designer, many of the preeminent homes in the Houston area feature our pools and integrated landscaping and outdoor environments. Downunda’s distinctive approach to design, pools and outdoor environments are integrated seamlessly with your home and landscaping. Our team of pool industry veterans allow us to take your senses on an unforgettable journey every day. Whether your dream is to lounge poolside and read on a lazy day, play a game of water volley ball with the kids, or entertain family and friends on a warm summers evening, your dream swimming pool and Landscaping is just a click away. Choose Downunda Aquatic Environments to be your Houston pool builder. If you’ve been dreaming of relaxing summer days spent poolside, it may be time to consider hiring a Pearland pool builder. A professional can not only help with design and pool installation, but also aid in appropriate maintenance once it’s complete. Whether you're at the beginning stages of planning or want to revamp your existing pool, a pool company in Pearland, TX will be able to get you on the right track. What exactly do Pearland pool builders do? If you are planning for a new pool in Pearland, TX, a swimming pool builder will analyze your outdoor space and your aesthetic wishes to determine an appropriate design for your yard, installing it once the plan is developed and approved. Once installed, some pool companies in Pearland, TX can handle the necessary cleanings, water testing, renovations and equipment replacement or repairs for your pool or spa. If not, many can also suggest Pearland, TX swimming pool contractors or maintenance services to help with upkeep or repairs down the road. Here are some related professionals and vendors to complement the work of swimming pool builders: Garden & Landscape Supplies, Landscape Architects & Landscape Designers, General Contractors, Landscape Contractors, Solar Energy Contractors. Before hiring a swimming pool construction company to create your new Pearland, TX pool, determine how you'll be using it. Will it be for fun or for lap exercise? Will the primary users be children, adults or a mix of the two? Knowing the use can help you find Pearland pool builders who shares your aesthetic. Once you find swimming pool builders in Pearland, TX who share your style, research is critical. Review customer references and comments, collect at least three to four estimates to compare, meet with potential Pearland pool designers and builders in person and ensure that they are Texas certified service professionals and licensed with the registrar of contractors before making any final decisions. In addition, get a sense whether they plan to complete the pool installation and be done with it, or whether they seem interested in building a long-term relationship with you. Be wary of the former: it's likely a reflection on the level of quality of the pool construction they do. Find a Pearland pool contractor or designer on Houzz. 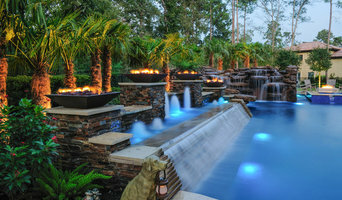 Narrow your search in the Professionals section of the website to pool builders in Pearland, TX. You can also look through Pearland, TX photos by style to find a pool or spa you like, then contact the local pool company who designed it.